Healing: Strengthens heart and circulatory system. Releases impurities. Our energy bracelets are made with 4mm and 5mm genuine Rose Quartz beads, ideal for stacking and layering. Adorned with our signature star charm. 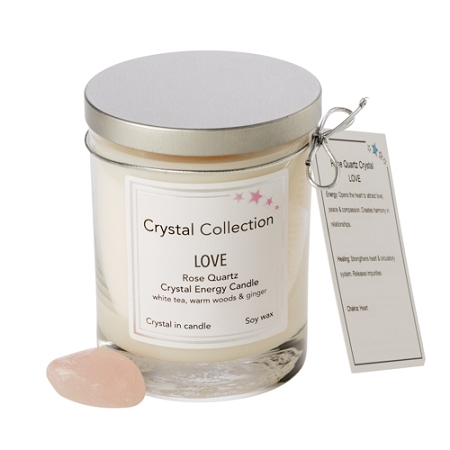 Compliments our LOVE Crystal Collection candle. Now you can take your energy with you.